Backlinks are links that are directed towards your website. Also knows as Inbound links. The number of backlinks is an indication of the popularity or importance of that website. Backlinks are important for SEO because some search engines, will give more credit to websites that have a good number of quality backlinks, and consider those websites more relevant than others in their results pages for a search query. 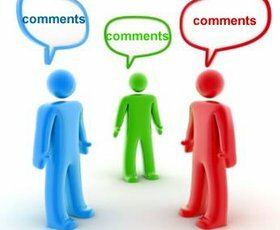 Blog commenting service involves commenting on various blogs and posting links of a website with them. It is an extremely effective way of link building. Readers and subscribers will read the comment and might be inspired to click on the link too. Sure, this way trafic will increase to your website. This is a much faster and convenient way to communicate a link to large number of peoples on net.